The Maryland World Class Consortia hosts regional Lean Peer Groups throughout Maryland. Lean applies to any type of organization and processing environment. Whether you are a manufacturer, distributor, service organization, or a non-profit, this program should be part of your Continuous Improvement plan. Company leaders will have an opportunity to revamp and re-energize their Lean strategy by networking with and learning from others who are committed to creating a Lean culture. Ideal participants are representatives from your Lean Steering Committee or members of the Leadership Team, but there are no restrictions on who may attend. Three employees from each company may attend each meeting so only one registration per company is necessary. Click here for complete program description. The Maryland World Class Consortia's flagship training resource, the Lean Facilitator Certification Program (LFCP), is now entering its 12th year! Join us for a deep dive into the tools, systems and principles of Lean Thinking. LFCP is an intensive 18-day curriculum that develops skills in identifying, planning, executing, and sustaining process improvements in any organization. Delivered over a five-month period, the skills developed in this course are designed to build in-house talent - the process improvement knowledge and experience needed to lead transformation projects on your organization's Lean Journey. The course is suitable for everyone: any type of industry, government, or non-profit. No prior experience with Lean is required. 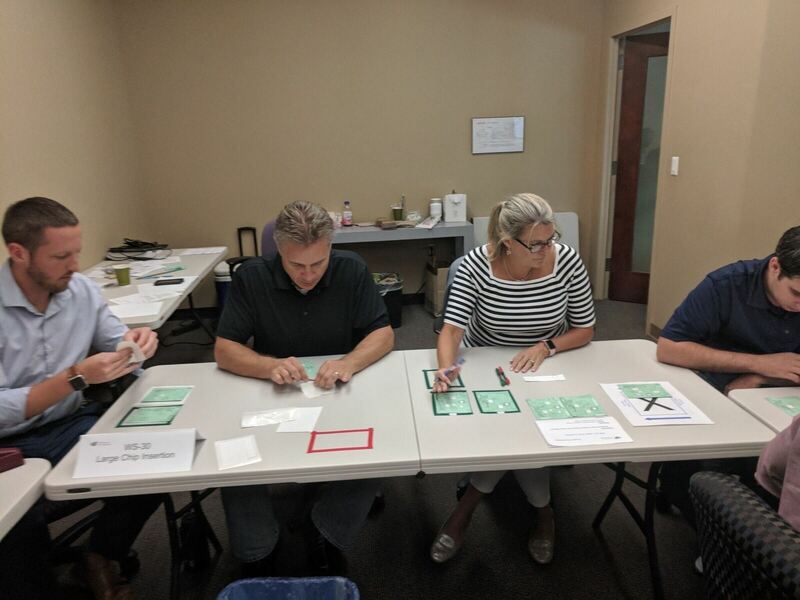 Our curriculum is aligned to the national Lean Certification's Body of Knowledge, and LFCP students can optionally pursue their Lean Bronze Certification through the course. For detailed information about the program (including dates) and to complete registration information for this class click here. We look forward to having you join us for our morning "mini-conference" where you will find examples, case studies, and informative discussions about the tools and methods of continuous improvement. Get ready to network with learners and leaders of the local Lean community! Daniel Quain, Continuous Improvement Specialist - Our host for this Quarterly Conference is Smiths Detection. This location is the US HQ for this major employer in Harford County. Smiths designs and makes advanced systems and solutions to detect and identify threats including explosives, chemical agents, biohazards, nuclear, radiation, narcotics, weapons and contraband. They are partners with federal and state government agencies and first responders to strengthen homeland security and safeguard the military. Rob Weinhold, CEO, The Fallston Group - He got his start as a Baltimore City police officer, rising to public affairs director/chief spokesperson for the Baltimore Police Department. Recruited to Washington, D.C., Rob served as chief of staff for the United States Department of Justice. In 2009, The Fallston Group was born. Rob has been an on-air expert for CNN, FOX, MSNBC. He is nationally published and has trained, lectured and keynoted in many professional and academic settings. His book, The Art of Crisis Leadership (2016), quickly rose to Amazon's #1 release in both the Public Relations and Crisis Management categories while cracking the "Top 100" in the prestigious Leadership category. He is referred to as a crisis leadership expert. Fallston Group is a Baltimore-based executive advisory firm that focuses on building, strengthening and defending reputations, each and every day. You will be meeting monthly at alternating participant company locations; we do our best to minimize travel for our participants.